I had the pleasure of attending a conference session led by Lindsey Nagorsky and Dr. Sharroky Hollie about Responsive Reads. Culturally responsive reads are texts that are culturally relevant and teach kids about the world around them. So it doesn't mean you only read texts with Latino characters to Latino students but you read these texts to all students to open their world. So after some research, here are some of my favorites. I've got a DonorsChoose grant out there hoping to get these texts in my reader's hands. This week, picture books! 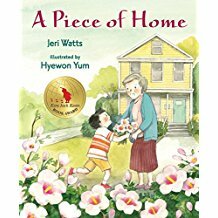 This is a beautiful book about a child moving from Korea to America and the changes he has to endure. Being culturally relevant doesn't mean just ethnicity. It also means gender. 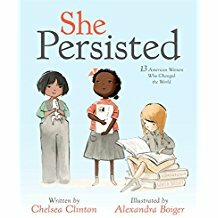 This book is great for little girls to see themselves and picture a brighter future. 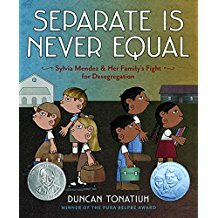 Great non-fiction picture book about the fight for desegregation in California. I had never heard this story before and it happened in my backyard! One of my favorites. 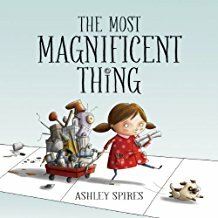 This is great for teaching growth mindset and helping kids see they can accomplish anything if they put forth the effort.